Join us for our annual visit to Boundary Mill & Oswaldtwistle Mill in Lancashire. This is a perfect trip for bargain hunters and browsers, as both mills are awash with a mixture of big-name retail outlets and unique, quirky local retailers. We start our day excursion by visiting Boundary Mill in Colne. If you are looking for a great day out, this is a perfect destination. 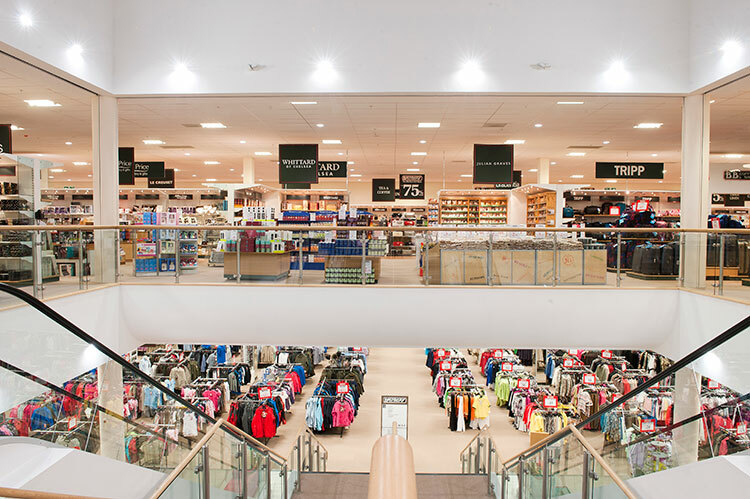 Founded in 1983, Boundary Mill is the largest quality mill store of its kind and offers great value with up to 70% off the RRP on big brands in fashion and home. There are many brands and departments to choose from, a shopping paradise. In between shopping, there are a fine choice of 4 places to drink, eat and relax. BB’s Coffee Shop is perfect for tea, coffee and delicious homemade cakes. Or why not soak up the atmosphere and enjoy their extensive range of soups and sandwiches, fine pastries and homemade cakes. For a heartier lunch, perhaps Banny’s restaurant is the one for you, it serves Great British classics such as fish & chips and cheese & onion pie. Or Bannister’s restaurant that serves modern and contemporary classics. After lunch, we head for Oswaldtwistle Mill for a warm Lancashire welcome. Oswaldtwistle Mills award-winning Shopping Village & Garden Centre in Lancashire has something to amaze, charm and intrigue visitors of all ages. More than just shopping, you can enjoy a whole afternoon there. Visit one of five Restaurants including a NEW Ice Cream Parlour and Gourmet Food Deli. Textile and Heritage Museum, Mill Grounds and Wildfowl Reserve.